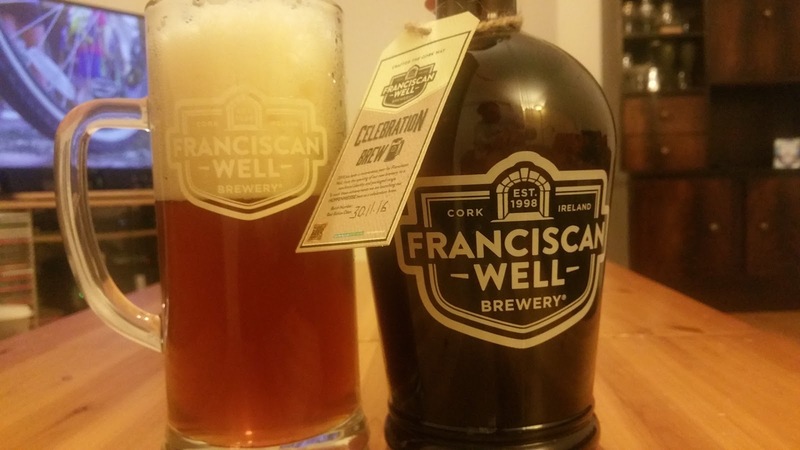 What does Franciscan Well have to celebrate? It's not like they are celebrating 20 years like the Porterhouse, at least not yet. That will be in 2018 but for now, they are simply celebrating a good year. The opening of their new brewery in Cork, a new brand/logo and the recent launch of cans is a good enough reason to celebrate. The Celebration Brew is a Hopfenweisse. If you're not familiar with the term, it's pretty much how it sounds, a hoppy wheat beer. Their media company kindly sent me a sample to try along with a couple of glasses. It's a very limited release and when it was brewed last year, it won a bronze medal in the wheat beer category of the World Beer Awards 2015. So how is it? It's an interesting one. Lots of sherbet on nose with a little toffee. there's also some fruity esters like banana but that's quite muted. It's pretty tart and sherbety with a pronounced bitterness. Oh and just to be clear, when I say sherbet, I mean this stuff and not the dessert. I feel it would do better as a summer release as right now is the time for big heavy beers with higher alcohol. 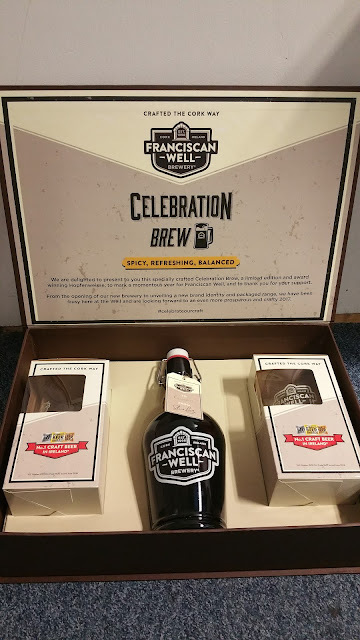 I don't normally list places where you can buy a specific beer but from what I read in the press release, the list is very small so if you want to try it yourself, here's where you should be able to find it. I'll leave it up to you to decide if it was worth the trip.